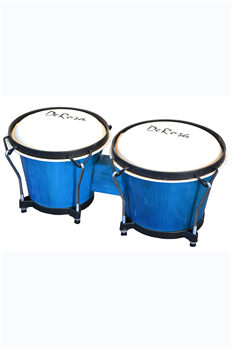 Home > Drums & More > De Rosa CGA0910-NT 1 & 2 Congas 9" & 10"
The De Rosa Congas are an amazing set of drums for percussionists who are looking for a rich and full sound at an unbelievable price! 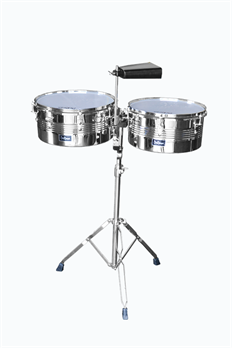 Crafted out of solid dried oak wood and chrome plated hardware with heavy duty steel bracing on the bottom. The 9" & 10" tunable drum heads are made from real buckskin. 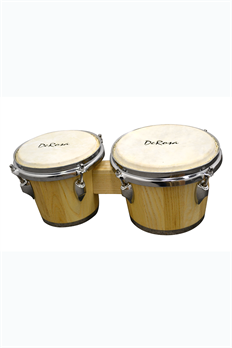 Ideal for Latin style rhythms as well as low volume settings. A double braced chrome stand is included. 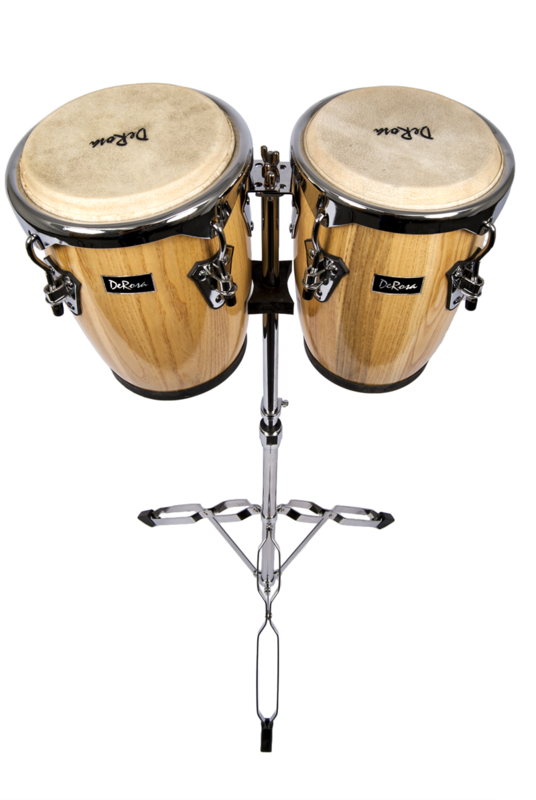 The congas are available in Natural and Tobacco Sunburst finishes. At this price, this deal cannot be beat so hurry and get your new De Rosa Congas today!